TECO has introduced the most efficient range of continuous tube pullers. 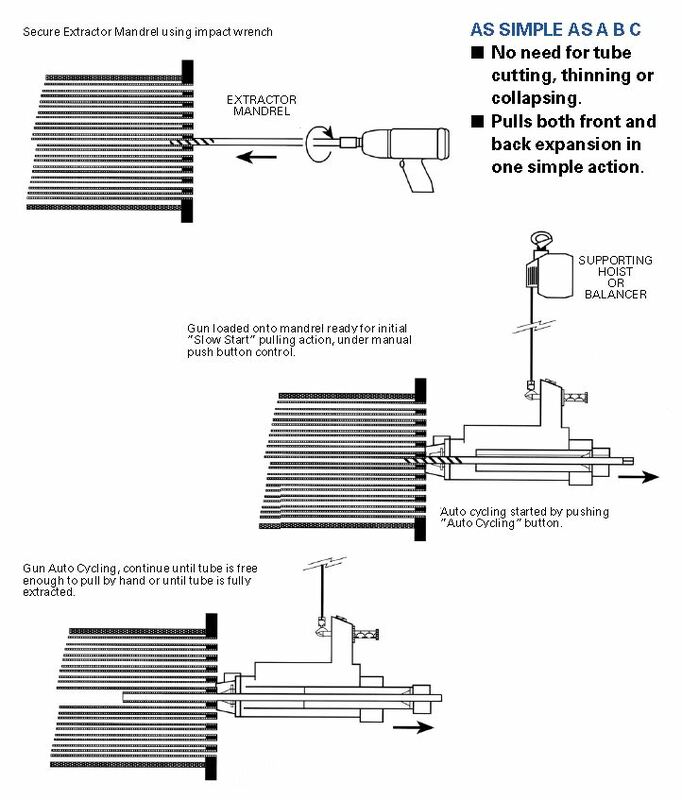 This semi or fully automatic TUBE PULLER will run tubes out of heat exchangers and condensers without the need to cut the tube prior to pulling. For light duty, high speed work on tubes of diameter 3/8” to 1” O.D. e.g. condenser work. For all tube sizes from 3/8” to 1 1/2” O.D. continuously through the gun and to 3” O.D. stub pulling. For all tube sizes up to 3” O.D. continuously through the gun and stub pulling applications on boilers and steam drums. Continuous pull capacity up to 3” O.D. High power and high speed automatic cycling. Proven mandrel and pulling jaw system. Electric or pneumatic versions available. ‘Slow-start’ to minimise the risk of tube breakage. 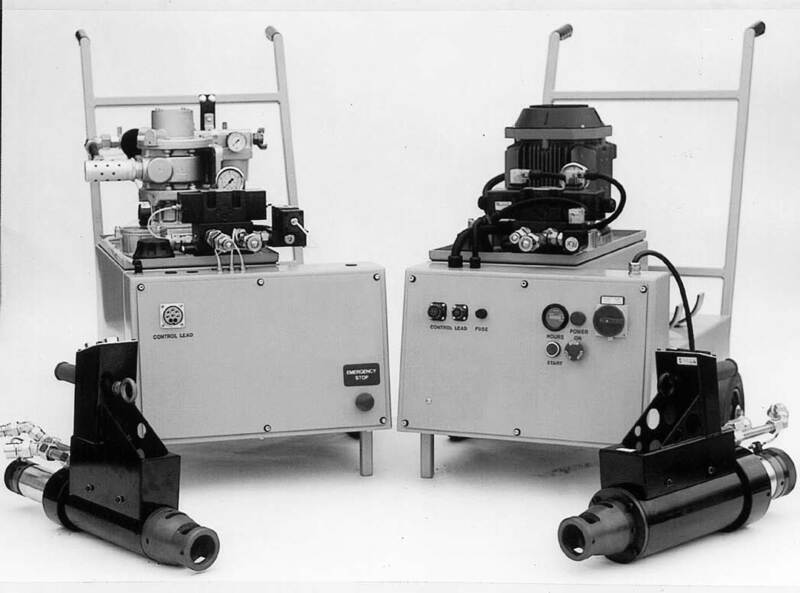 Standard electric, hydraulic and pneumatic components. 24 volt operator controls for added safety.